Like baking a soufflé, successful property investing requires three important elements: a well-proven recipe, good ingredients and technique. Successful property investors know only too well that shortcuts or lack of research are sure to cause financial distress. They also know that given the level of expertise and knowledge required to make the right decision it is essential that they have the best professionals on their team. 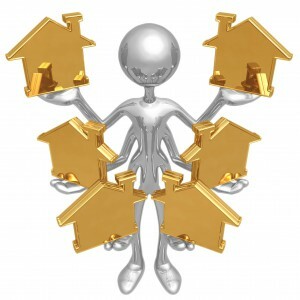 Many property investors purchase with their heart. They buy in suburbs that they think they know with little regard for what tenants actually want. 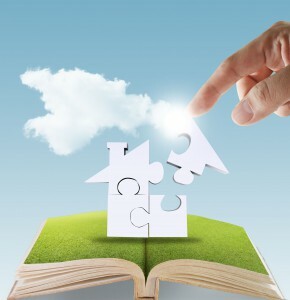 Successful property investing starts with purchasing the right property. A good capital growth property will pay for itself within 10 years. For those who like numbers, a property growing at a compound rate of 7% per year over a cycle will double in value in about 10 years. A poorer-performing capital growth of 5% will double in just less than 14.5 years while a superior 10% growth property will double in just over seven years. As an example, a $500,000 investment after 10 years will potentially grow in value to $814,447 (5% growth), $983,576 (7% growth) and $1,296,871 (10% growth). Now that you have a good recipe, you should choose good ingredients. This involves identifying the correct name in which to purchase the property and ensuring cashflows are maximised by obtaining a depreciation schedule and scrapping schedule if embarking on a renovation. For many investors a trust could be a good vehicle to hold and grow wealth. The use of superannuation as a structure should also be considered, as this could mean you will pay no taxation on the investment property and potentially fund it without any additional cash resources. Understand the various land tax rules and finance options, as these can significantly sweeten the result. Like all good businesses you must not only grow your assets but protect them. Even if you already have property assets in your name, you can successfully protect them without moving to a trust and incurring CGT and stamp duty. Chan & Naylor refer to the secret ingredient as a buffer. A buffer is accessible funds that can be used in emergencies including increased interest expenses, major repairs, a lost tenant, etc. A buffer should be measured in time and outline the span you need to make a safer investment. For example, if you say five years for a property that costs $10,000 per year to hold, then you need $50,000 in your buffer. If you choose to sell, a buffer means you do not have to accept the first offer and accommodates for highs and lows in the market. Property investment has a habit of throwing up the unknown, so you need to be prepared. To maximise your chance of a superior property you should take control of the outcome by manufacturing capital growth and not rely solely on market movements. Renovations will help turbo-boost your market value and also improve your rental yield, especially if completed soon after purchase. It is important that you choose a superior property for successful investment so don’t rush. To be sure, research varying properties in a range of areas and use all available resources including seeking assistance from a professional. And you have your soufflé! The main difference between following this property soufflé recipe and a Margaret Fulton recipe is that your property investing will not collapse when the unexpected happens. If you follow the three basic considerations, a lower return than expected is the worst you can expect, however with your buffer you can afford the time to see your property investment succeed. Hi Ken, thanks I really appreciated that good article. In fact it struck a real note with me for a couple of reasons. 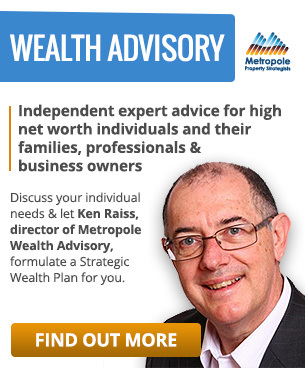 Yes I am property investor and have done quite well using your above methods. The other thing is the Souffle and following the recipe strategy. That is just the key isn’t it. Too often people think they know better than following the recipe for success and then wonder why they fail by selling too early or for some other reason. Ken I am not a salesman, but I have this fantastic audio CD I would love to share with you. It covers this very topic of how to go on the path to success by following the recipe to make the souffle. I think you would get a lot out of it (as I have) for your personal and business life. Let me know and I could arrange to send you a (free) copy. Thanks. 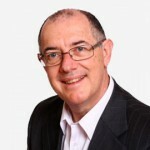 Peter Lewis, Toowoomba.